Teneo CX | Making Technology Think! Give the customer experience your users deserve. Let the power of a conversational agent do the talking for you. On any platform, device, or language. Increase customer engagement. Personalise customer service. Improve customer satisfaction. Teneo from Artificial Solutions allows you to deliver a humanlike, intelligent and capable conversational self-service experience that will make your customers return again and again. 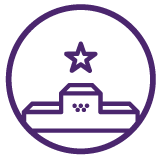 Teneo lets you respond to your customers’ needs immediately, consistently and accurately every time. 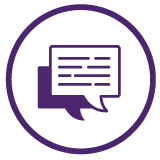 Teneo’s advanced humanlike understanding allows customers to communicate using their own words, not your jargon. Teneo runs across any OS, device or service in multiple languages. With a build once, port to many ethos, Teneo lets you reach your customers everywhere. With Teneo, you own the conversational data. Use it to understand the voice of your customer, their wants, needs and preferences to deliver the ultimate customer experience. 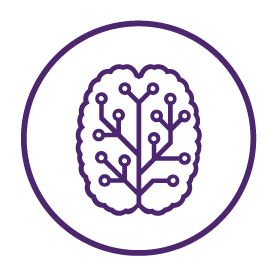 Teneo is the conversational AI platform built for developers and business users. We’ve automated the complexity of building conversational AI applications. We’ve simplified the structuring of dialogue flows. We’ve even provided the tools to help you mine the data. All Teneo is waiting for is your ideas. But what happens if your customers have sales queries, need advice or require customer support? Teneo allows your customers to interact using voice or text just as if they were talking to a live agent. 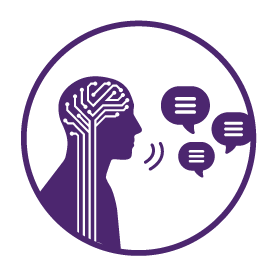 A revolutionary conversational AI platform, Teneo understands your customers’ demands and instantly answers them. Teneo utilizes a form of artificial intelligence called Natural Language Interaction (NLI), to deliver knowledgeable, useful answers immediately. Teneo provides you with an intelligent customer self-help facility that will automate many of your customers’ sales and service queries at low cost and high efficiency. With Teneo you can create customer engagement solutions powered by AI that give your users exactly what they want—a great customer experience that’s fast and easy to use. People want a customer experience that’s fast and convenient for them. They want to text you a question while waiting in line for coffee or use their voice to make an online purchase while driving to work. With a Teneo conversational agent you can deliver this expectation with ease. Intuitive, helpful and an expert in every aspect of your business, all our intelligent virtual assistants can dynamically interpret, understand and respond to requests for help or information. No more wading through endless menu systems. Your customers can simply ask for what they want – just as if they were talking to a live assistant—and get the right response, every time. AI is transforming customer engagement. A conversational AI chatbot, whether working on the helpdesk, assisting sales in reaching their targets or providing detailed insight to product marketing, is critical to the success of your business. Teneo allows customers to interact with you via their connected devices just as if they were talking to another human and receive an intelligent response. Teneo doesn’t just understand the context of the conversation, it’s able to veer off to discuss a different issue, and then use its memory to remind the user of the original topic. Unlike many humans, it also remembers a user’s preferences from one interaction to the next, regardless of the device used. Furthermore, Teneo can seamlessly integrate into back-end and third-party systems and use that information within the conversation to deliver an interactive and highly personalised customer experience. Perfect for resolving customer service issues troubleshooting common problems, helping with account administration and providing general advice, your conversational agent will make life faster and easier for your customers. And with over 30% of inbound queries typically deflected to automated channels, you’ll appreciate the significant cost savings. Your intelligent virtual assistant knows everything about your business. What you have in stock, the day’s special offers, recommendations for complementary products, but best of all it even knows what your customer likes too. Using information such as past purchases, web navigation pattern and real-time analysis of the conversation with your customer, your conversational AI chatbot will maximize the potential of every sales transaction. In fact, our intelligent virtual assistants are so good their human counterparts often use them too. 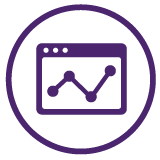 Inbound queries are answered faster, and companies see an increase in first call resolution (FCR) rates. In organizations with a high staff turnover, the conversational ai chatbots can also act as a support to in-house training, ensuring even the newest recruit provides the correct answer. 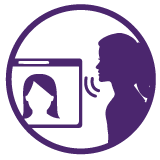 Available in 35 languages, running on any device, regardless of operating system, the Teneo conversational AI solution lets your customers interact with you over whichever channel they chose using their preferred input method be speech, text or gesture. Customers can even switch devices mid-conversation and just pick-up where they last left-off. Human free, digital-only interactions can help organizations overcome the challenge of responding to vast numbers of social feeds in an intelligent, informed manner. Using our patented NLI technology your intelligent virtual assistant can understand the sentiment and context behind the comment and respond appropriately, for example – providing a personalized reply, a link to a website or a telephone number. Nothing is more frustrating than not understanding why someone didn’t purchase. Teneo conversational interfaces not only ensures that the shopping process is as smooth as possible helping to lower customer abandonment rates, it can also tell you exactly why someone abandoned their cart. In depth analytics of conversations allows you to understand what your customers are looking for, how to improve information provided and other business insights such as product purchasing trends. Make it easy for customers to get what they want – fast. Answering your customer queries instantly, using the online channel that they prefer, and in a personalized, intelligent manner, leads to significant improvements in customer satisfaction. An intelligent conversational interface offers a non-intrusive way to deliver personalised incentives at critical points in the interaction. If the customer shows signs such as wavering during a purchase assistance can be offered either in the form of advice or even a discount coupon. Teneo has the intelligent capability to provide relevant cross-selling suggestions to customers, helping boost online sales and improve profitability. By suggesting appropriate ‘extras’ at the point of purchase, per basket spend can be quickly increased. Improve motivation and increase productivity by relieving live agents of boring, repetitive task and enabling them to devote time to more complex or higher value interactions. Delivering a consistent conversational self-service experience across multiple channels can increase perceived value within a brand and raise CSAT (Customer Satisfaction) and NPS (Net Promoter Score) ratings. Use the conversational data to learn more about your customers, product trends and future opportunities. Discover exactly what your customers are thinking, with more insight than any focus group can deliver. In addition. 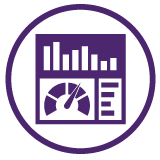 the data can be used to provide key metrics including key performance indictors (KPI). Teneo automatically and accurately answers queries that would have otherwise been dealt with by your advisers. 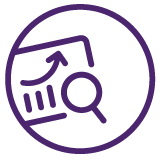 Teneo for Retail can also be configured to divert queries to other channels according to a specific hierarchy, otherwise have been passed to your advisers (for example, high-value customers or those mentioning specific complaint keywords). Help customers carry out transactions faster and easier such as completing forms, scheduling an appointment or paying a bill. Teneo allows you to build intelligent, humanlike conversational applications that ignite the customer experience. Our customers have built conversational AI applications to run on services such as Messenger, Alexa, and Wechat. They’ve built them to run on proprietary customer service systems, websites, mobiles, in cars and in their customers’ homes. Whether the application is complex or simple, in multiple languages or just Japanese, the choice is yours—but the possibilities are endless. Teneo analyzes the user’s input using a robust linguistic understanding library that understands and then derives the meaning (or potential meanings), from the input. At this stage, it also eliminates ambiguity. For example, if a customer has been asking about an order and then queries ‘when will it be delivered’, Teneo already knows that the user is referring to the order. Advanced linguistic interpretation and business rules are used to simulate ‘intelligent thinking’, allowing it to reason like a human and determine the most appropriate way to react, taking into account contextual factors such as the day of the week, user location, information from previous dialogs and data about the user retrieved from back-office systems such as CRM systems. The last stage is to perform the necessary actions in the most appropriate manner. This may be to give a suitable verbal or textual response, to ask for more information, open a webpage, play a video, open another app, automatically fill in a form or execute a transaction by updating a database or integrating with one of your backend or e-commerce systems. Teneo makes it easy for your customers to interact with you just by using their voice or text over any device in any language. 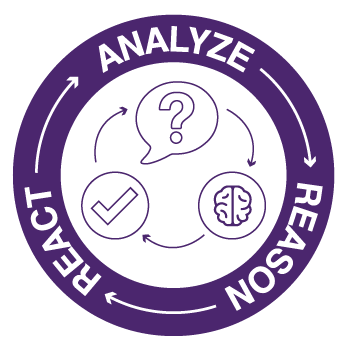 Using Natural Language Interaction (NLI), a form of AI, Teneo three key steps to process and intelligently react to user inputs. These three steps all happen seamlessly in milliseconds, with Teneo able to handle thousands of interactions simultaneously. Whilst the Teneo Platform is powerful enough to build some of the worlds most sophisticated conversational AI solutions, it has also been developed so that it’s usable by business-based staff. 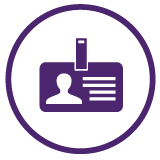 This means that your own content managers can quickly build, amend and update the knowledge of your Teneo application without the need for heavy duty technical support. Artificial Solutions is the global expert in intelligent online virtual assistants for automated sales support and customer self-help. Established in 2001, our Conversational AI solutions are revolutionizing the way people communicate with technology and are already used by millions of people in hundreds of millions of automated conversations around the world every year. The Teneo Platform is device, platform and language independent, using Conversational AI to allow people to interact with any connected device using everyday conversational speech, text, touch or gesture. The Teneo Platform learns and understands; and then applies this knowledge to real user interactions such as resolving queries, answering questions, recommending products or providing links to information and external resources. Quite simply, Teneo is what Makes Technology Think! 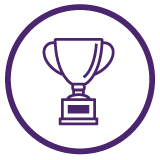 Tracked by many of the leading analysts including Gartner, Forrester and IDC, we have won many awards for our technology and customer implementations. We are also a winner of the prestigious Loebner Award for Artificial intelligence. Visit our blog, for thought-provoking and industry-specific comment about how NLI is being applied to the retail and wider business sector. Teneo is a Registered Trademark of Artificial Solutions; Copyright 2018 | All Rights Reserved.